Coin collecting is a great hobby, but you sometimes need to clean your coins due to their advanced age or improper storage. Some coins are fairly easy to clean; others prove more challenging. Steel pennies are difficult to clean, because steel can rust and corrode. Therefore, soaking them can actually do more damage. 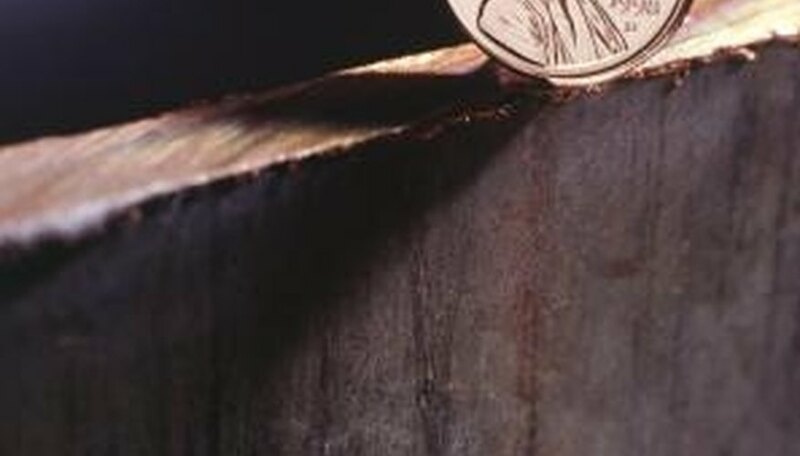 The steel penny is composed of steel coated with zinc. If you need to clean steel pennies in your coin collection, you have a few options. Whenever you handle a steel penny, use cotton or latex gloves. Due to the galvanization process, the edges of the penny lack a zinc coating. The exposed steel on the edge of the coin is therefore very susceptible to moisture. Even a small amount of sweat from your hand can start rusting the steel. That being said, steel pennies do not have a lot of value (yet!). Some people advise that cleaning can lower the value of a steel cent, especially if the zinc is worn off. However, if you plan on mounting and displaying your steel pennies, you will want to clean them. Rub a small amount of cleaner (such as Soft Scrub or Lime-a-Way) onto the penny. Buff with a chamois cloth or toothbrush, or with a Dremel tool using the softest buffing attachment and slowest speed. If using the Dremel, be careful not to wear away the coin's detail by putting it on a high setting. Pay special attention to the edges of the coin, as there is little zinc there, leaving the steel exposed. If you have a bit more time and money to invest, try immersing the penny in an electrolytic bath. A battery is hooked up to a special solution, and through electrolysis, the rust falls away from the penny. If you intend to keep your coin until it is valuable, do not clean it with anything other than mild soap diluted in water. You can also rub a little olive oil on the coin to act as a barrier. You may run the risk of lowering the value of your coin if your attempts to clean it result in surface wear.